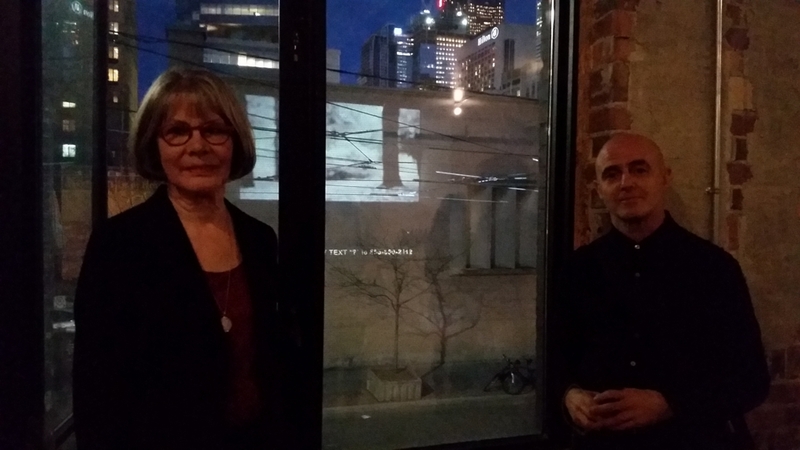 Finalists in the prestigious photography competition joined media and sponsors as they launched a new public art installation called Beyond The Frame at Queen and McCaul in Toronto. The Scotiabank Photography Award finalists for 2016 are Pascal Grandmaison, Suzy Lake and Jayce Salloum. This award recognizes established photographers in Canada's largest peer nominated and judged competition. "At Scotiabank, we have witnessed, first hand, the powerful way that photography helps people connect with a moment in time. In 2010, we co-created the Scotiabank Photography Award, with Edward Burtynsky, to strengthen our commitment to the arts and to celebrate the creative vision and accomplishments of some of our country’s most gifted photographers," said Barbara Mason, Group Head and Chief Human Resources Officer at Scotiabank. "The finalists for this Award are artists who strive to invent, influence and redefine art in enduring ways." 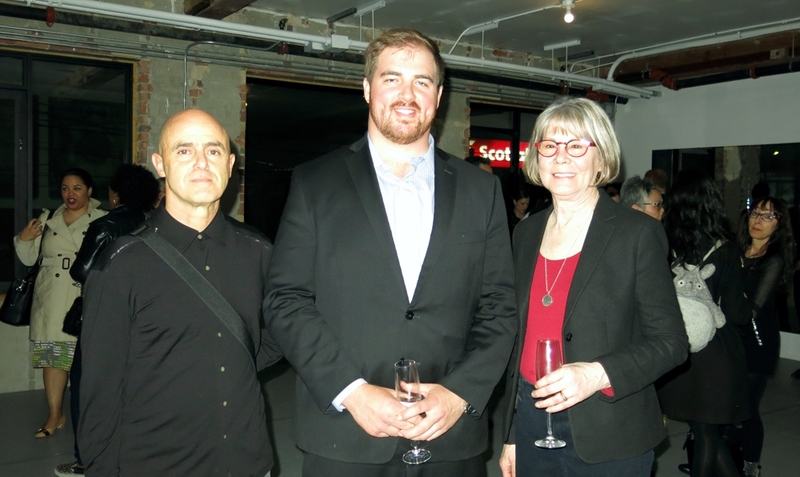 Ben Thompson, the Scotiabank branch manager of Small Business, announced the finalists and noted the artists' outstanding contribution to Canadian contemporary art and photography. The winner will be announced at the Ryerson Image Centre on May 3, 2016 and will receive $50,000, an internationally distributed book and an exhibition at the 2017 Scotiabank CONTACT Photography Festival. The remaining finalists will recieve cash prizes of $10,000. Last year's winner - Angela Grauerholz, will have a solo primary exhibition at the 2016 CONTACT which will run from May 4 to August 21, 2016. 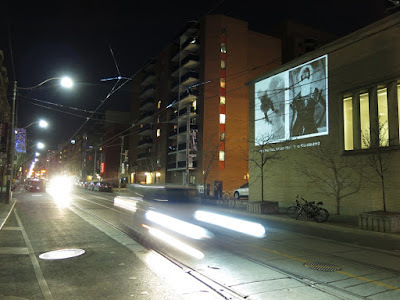 The temporary display of the artist's photographs will be projected on the outside wall of the Scotiabank branch bank at McCaul and Queen Street West until this Saturday, from 8pm to 11pm. People passing by will be able to see the gallery as they wander the busy area which is home to such attractions as ROM, OCAD and Much Music. Phone numbers will be posted with the photos where members of the public can text '?' 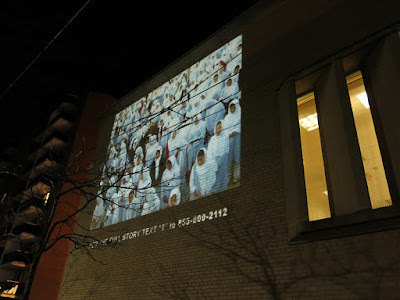 to 1-855-800-2112 which directs people to the following video.